Crock Pot Chicken and Herbed Rice - Recipes That Crock! 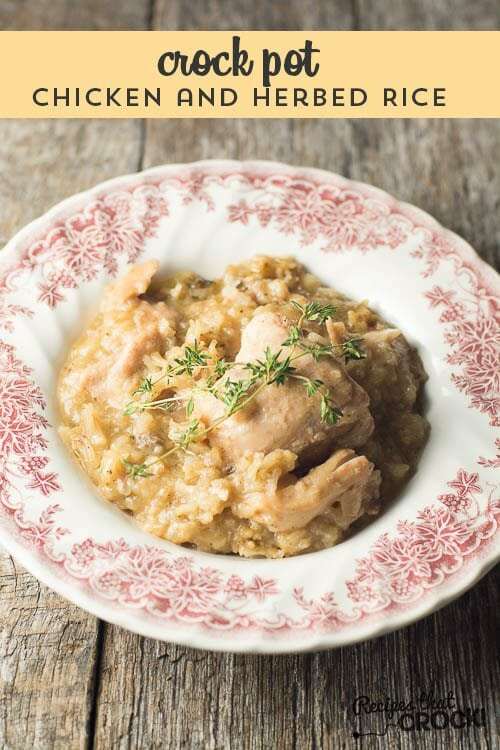 Crock Pot Chicken and Herbed Rice is pure comfort food. Your rice lovers will love this traditional dish with our trick for super tender chicken every time! Last week Miss Add and I were on our own last week when Daddy had to go out of town. Last week also happened to be National Agriculture Week so Miss Add got to go a long with Mommy to several farm related events throughout the week. 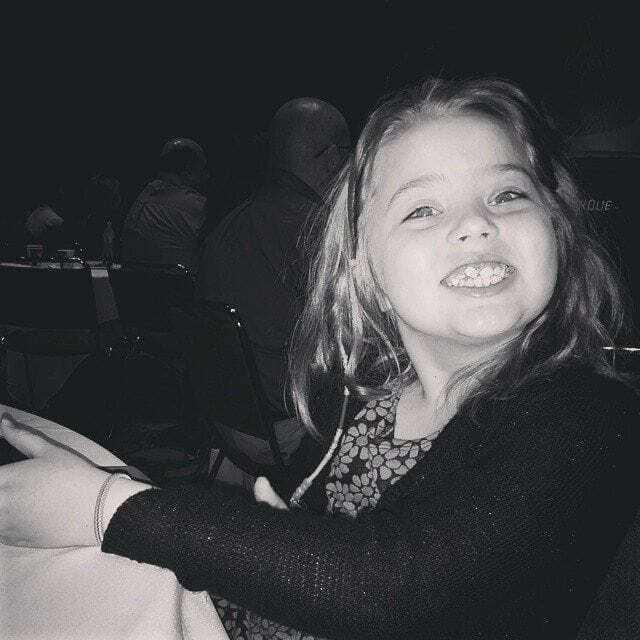 She was so excited to go and do “our meetings” together, including a conference and Ag Day at the Statehouse! Her response was classic Add… “Oh Mommy you aren’t mean old mom, you are nice old mom.” So the moral of this story is I can be mean or nice, but regardless I am going to be old ;). LOVE my girl. Our “meeting” schedule and juggling all our weekly responsibilities without Daddy left Mommy just a bit exhausted and grateful for an easy crock pot meal awaiting us when we got home! I especially liked this one because of its longer cooking time– which is rare these days. I converted this recipe from one I found in one of my VERY favorite Gooseberry Patch Cookbooks – Best-Ever Casseroles. I have been itching to make more recipes with my casserole crock pot and I have found that my favorite casserole cookbook is a treasure trove of great recipes I can adapt to the crock pot. 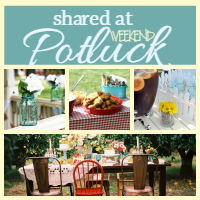 Here is a link to all of my current Casserole Crock Recipes. Note: You don’t have to have a casserole crock pot to cRock these recipes, just note that cooking times will vary based on the size, shape and age of your slow cooker. My secret to the perfectly tender chicken in this dish is to use Boneless Skinless Chicken Thighs– not chicken breasts. The thighs have just enough fat to create a very flavorful chicken mixed into your rice. 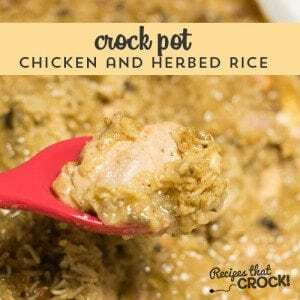 Crock Pot Chicken and Herbed Rice is pure comfort food. Your rice lovers will love this traditional dish with our trick for super tender chicken every time!- Adapted from Gooseberry Patch's Best Casseroles. Place chicken evenly on the bottom of the crock. Spread over top of chicken.